Another week, another would-be Brexit day. Unfortunately, Theresa May has proven as weak as expected and postponed Brexit yet again. The new Halloween deadline set by the EU is not necessarily a scary prospect although of course remainers will use the time to attempt to mount their second referendum. For Brexiteers this is valuable time in which No Deal preparations can be shored up, as the former head of the Bank of England, Mervyn King, so sensibly suggested in an interview republished on the BfB website a few weeks back. We now need to redouble our efforts to get a public debate on the case for no deal and to explain that it is eminently manageable. What is a scary prospect, however, is that Theresa May could continue to haunt Number 10 until October. 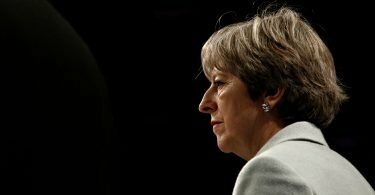 After the humiliation of failing to deliver Brexit on time, the Prime Minister has to go. Brexiteer MPs should waste no time in trying to force her resignation and the appointment of a new leader. The DUP in particular may have the power to orchestrate such a change. With Labour support they could vote against the government in a confidence vote. The PM would then have 14 days to find a majority in Parliament, and the DUP could withhold their support to force a change in PM, and perhaps also Tory leader. A 40-minute meeting between the DUP and Boris Johnson on Thursday suggests this idea may already be under discussion. Even with the DUP, the Government currently has a majority of only four over all opposition parties and the outcome of such a manoeuvre would depend on Tory remainers staying loyal but also on some opposition pro-Brexit MPs supporting a Tory government under a new PM. The launch of the Brexit Party is a depressing reminder that the inability of Westminster to enact Brexit has turned the clock back to 2014, when voters who felt ignored by the main political parties were turning to UKIP in ever greater numbers. The trust of these voters was briefly regained in 2016. Now, however, they feel more excluded from politics than ever. It seems likely that many Tories will vote for Farage’s party but a split in votes between the new Bexit party and UKIP could weaken the pro-Brexit result under the complex D’Hondt PR system used in European elections. This week, Robert Tombs has written an article for the Daily Mail, discussing how the shambolic way in which Brexit has been conducted is turning Britain into an international laughing stock. Civil servant Caroline Bell explains how the Withdrawal Agreement has been dead in the water for months, and Theresa May’s persistence is in fact a ploy to force a second referendum – where we will be able to choose between Remain or Remain. “May, on the other hand, is a fanatical Remainer. She will stop at nothing to lock us into the EU. The International Monetary Fund has produced another analysis suggesting that a no-deal Brexit would lead to steep short-term declines in UK output, continuing the work of Project Fear. As senior economist Harry Western explains, the predictions rely on a raft of assumptions that make Eeyore look like an optimist. Many of their figures prove at best lazy, and at worst deliberate distortions. Challenging the often blinkered news coverage, Graham Gudgin rebuts some of the typical fearmongering over No Deal– tackling the impact of tariffs, air travel and food and agriculture –showing that it is in fact the most sensible option. A Civil Servant explains how extensive no-deal planning is being concealed by a government desperate to force through the unpopular Withdrawal Agreement. Clive Pinder here sets out the differences between the collectivist Remainer, who yearns for an overbearing federation to tackle the world’s ills, and the more independence-focussed Leaver, who desires a world of “independent – yet interdependent – nation states”. Earlier this week, regular subscriber Ian Moone speculated that the French would prevent a significant extension, lest it pave the way for a PM more committed to Brexit to come to power – and leave the EU fearing the loss of its current Downing Street puppet. 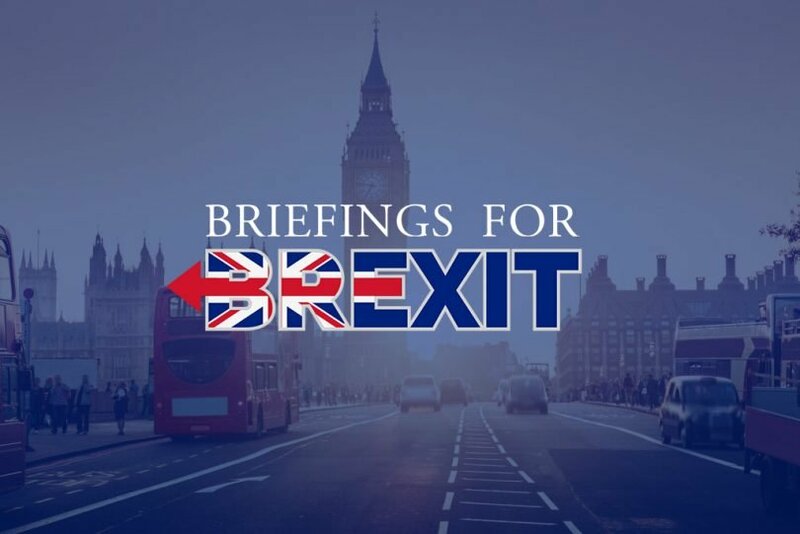 We are also on Twitter at https://twitter.com/briefing4brexit, posting articles and retweeting the daily events that bring Brexit to the fore in the national news. We urge our supporters to ‘take back control’ in our present confusion. There are thousands of you. Our MPs listen to their constituents. Write to your MPs. Perhaps send them copies of some of our articles (or links to them), especially when they are relevant to your local conditions – for example, in rural areas, on the threat to British agriculture. Better still, make an appointment to see them at their next surgery: they will take notice when people are lining up at their doors. Make you views known where MPs might be wavering, or where they are working to sabotage Brexit, especially in Leave-voting and marginal constituencies, which Richard Johnson listed in his recent article. Do also keep reading our posts, and to tell others about us. Share links to our quality content so that others can understand how leaving the EU can be good for the UK economy and for our own democratic governance. We aim to educate our critics to think differently and more positively about the long-term impact of Brexit. You can follow us on Twitter and Facebook.